The stadium was originally called Estadio Pedro de Heredia. It was re-named after a famous Cartagena footballer; this multipurpose stadium was built in 1958 and can hold a little over 16000 spectators. 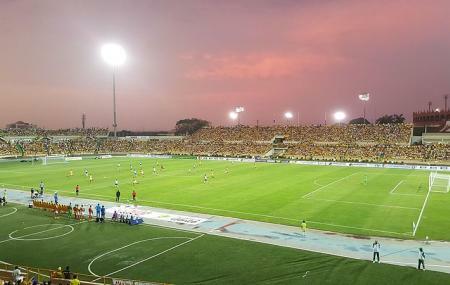 It is the home stadium of the Real Cartagena football club. Admission and access is reportedly simple. The seats are comfortable. It’s used for concerts and various festivals almost as much as it is used for football. There is no reason to take a separate guided tour of the facilities; the only time this place matters is during a match, when the infections energy of the crowd is sweeping you up in its flow. If you have nothing to attend, you can skip visiting this attraction. Price of admission depends on the event. Opening hours depend on the event.